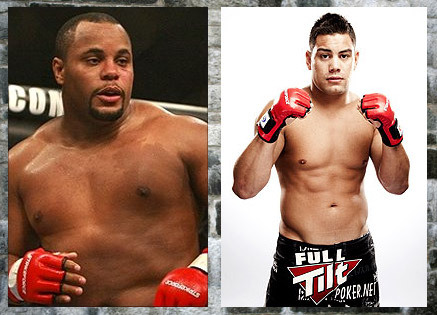 Strikeforce is gearing up for their next Heavyweight Grand Prix as Daniel Cormier will duel with Shane del Rosario on June 18. The fight card for Strikeforce Overeem vs Werdum is taking shape, as Daniel Cormier will lock horns with Shane del Rosario at the June 18 event. A light heavyweight title between Valentijn Overeem and Chad Griggs is also included in the card. In addition to this, the promotion’s women’s lightweight title contender – Gina Carano – will make her comeback against an opponent yet to be announced. Daniel Cormier is coming from a unanimous decision victory over Devin Cole at Strikeforce Challengers 13 last January. Meanwhile, Shane del Rosario has not fought since submitting Lavar Johnson with a first-round arm bar at the Fedor vs Silva event last February. The Strikeforce Heavyweight Grand Prix will resume on June 18, as reigning champion Alistair Overeem takes on Frabricio Werdum and Josh Barnett meets Brett Rogers. The event will kick off at the American Airlines Arena in Dallas.